Put some fun on your table! It’s a cheerful celebration on movement and color, with stargazer lily looping above the display of pom poms, gerbera daisies, and roses. Standard Center piece includes 9 stems. Deluxe Center piece includes 12 stems. 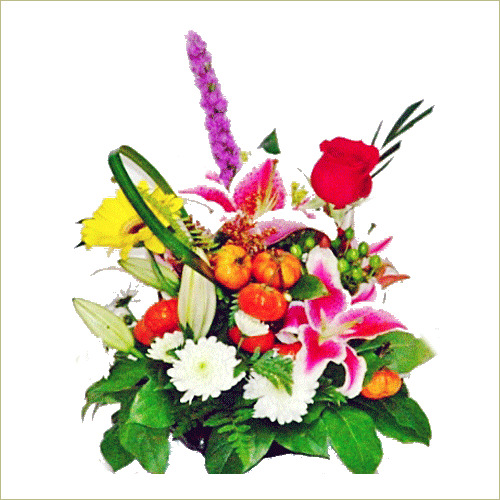 Premium Center piece includes 15 stems.